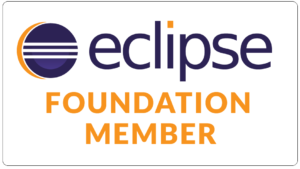 Eclipse Modeling Framework (EMF) is among the many frameworks of Eclipse ecosystem, the one that allows us to model the so-called application domain of your application, which is the set of entities, their attributes and their relationships. In this tutorial we will see how to use EMF to create the Model of an application. Before proceeding make sure you have a version of Eclipse with everything you need. 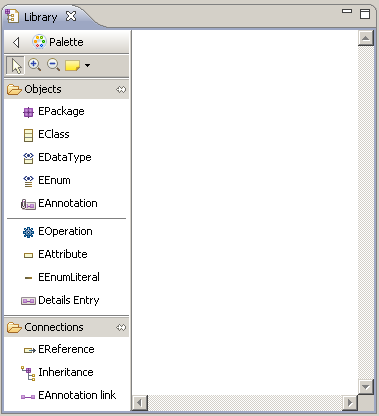 This article was written using version Eclipse Juno Modeling. 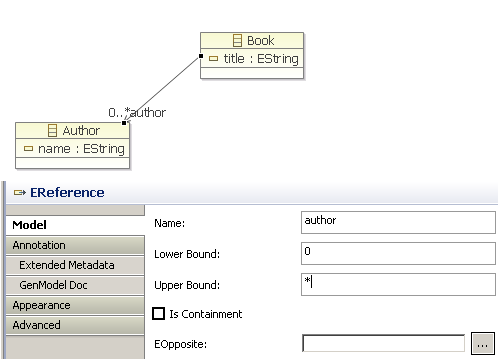 The Library model we will use as a sample is taken from the official EMF Tutorial : it consists of the entities Author, Book and Library. give it a name (e.g. com.rcpvision.rcptutorial.model), click Finish and you obtain a new project ready to host our EMF model. 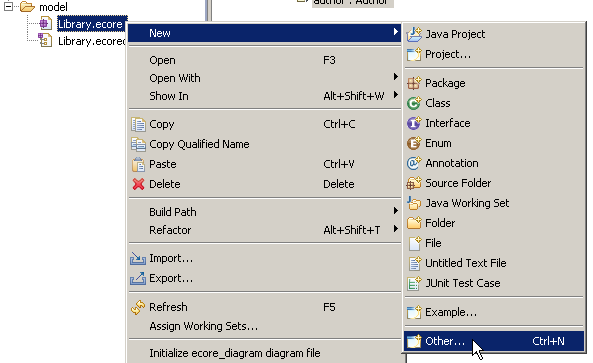 then press Next, change (you should read “Create Ecore Diagram” at the top of the dialog box) the value of the File name field into “Library.ecore_diagram”, press Next. At next step (you should read “Create Ecore Domain Model” at the top of the dialog box), leave the pre-set value (should be “Library.ecore”) into the File name field and press Finish. We now have a blank canvas where we can literally design our model. While editing the opened .ecorediag file, the correspending .ecore file will be kept in synch. 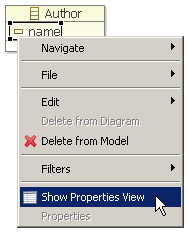 in order to have the following situation in the Properties View. Let’s do the same for the entity Book and its String attribute title. Please note that we have just created an Author type attribute called author in the Book class with cardinality 0..1 (not required). We’re not done with the model however. We need to create an entity Library capable of managing a list of Author and one of Books. Let’s return to the diagram and then create an EClass named Library. Then create in Library a reference to Author (click EReference, then click on Library, drag the cursor and release it on Author), calling the link listAuthor. If we stop now we would have only added in Library a reference, at most, to a single Author. Instead the reference is a multiple one (a Library contains a collection of Author objects), then insert “*” (or “-1” in Upper Bound field). In fact we can put a whole number to indicate the maximum number of Author elements; in any case if the number is greater than 1 this attribute will be managed as a list, else as single attribute. What does it mean? It means that the life cycle of the collection (the list of Author) is related to the lifecycle of the object Libray, namely that the existence of this list is subject to the existence of the “container” Library. You may prefer managing an EMF Model directly via this .ecore file editing (you can find an example Eclipse RCP: how to create and persist an EMF Model), it’s just a matter of taste. The important thing is that now you have an Ecore Model ready to go. Yes, go, but where? The answer is: to generate the model source. Until now in fact we did not write a single line of code, but we know we will need it at some point. and … here is the Model code, written out for you by EMF! Take some time looking at the generated code and ask yourself how much time it would have taken to you to create it by hand (please consider that it embeds, among other features, a notification mechanism associated to each setter method, just to mention one). Now let’s see how is EMF effective when it comes to maintain a Model, that is, when we need to change the Model. To do so, let’s imagine we, all of a sudden, realize that a Book can have more than one Author! Oh, well, we need a Collection instead of a single flat attribute! to get the Model code updated. What are then the advantages with the introduction of EMF? the Model code is created and maintained automatically, thus is potentially zero error-prone. The only useful colums are e_id and title. I don’t want the rest of the colums as it makes it difficult to manage the table colums (schemas) intuitively. “annotations.xml”); to only generate the only colums (i.e., e_id and title) that are important and related to my model? If I can use the setProperty, where do I actually place it in my library model project (in the src or model folder), how can I provide the location in the setProperty (is it “/my/emf/example/model/annotations.xml”) and how can I set the namespace-uri in this tag of the annotations.xml file?